Beautifully landscaped multimillion dollar gated property, there are two houses situated on this oceanfront property. The house closest to the ocean is occupied by the owner. The rental house is approximately 100 feet from the beach. There is easy access as well as an outside showering facility. This home has been recently renovated, and has central air conditioning in all rooms. It has two comfortable bedrooms with queen-size beds, a large kitchen, and large a living room. Known as the surfing capital of the world, this oceanfront property is located just minutes from historic Haleiwa Town and only a half mile from Waimea Falls Park! The unobstructed panoramic view of famous Chun's Reef, Jocko's, and Leftovers (prime surfing spots), will captivate you! Tropical marine life, like seaturtles, whales and dolphins, play just at shores edge, and in this area there are no 'right of ways', so the beach is pretty much secluded. Enjoyed the stay. Jim was a nice guy and would return again. We rented Chun's Reef in March and we were not disappointed. The location to a quiet beach, turtle sightings, friendly community and a relaxed trip was exceptional. Chun's Reef met our needs; it is clean, quaint and safe. We had access to beach chairs, boogie boards and a relaxed atmosphere. Jim was great to deal with. Very thankful that we chose Chun's Reef. Haleiwa was a great little town to visit-great restaurants and great food. We will definitely be back. If you are looking for a relaxing beach holiday without crowds and skyscrapers this is your spot. Thank you Jim for having a great place to stay. 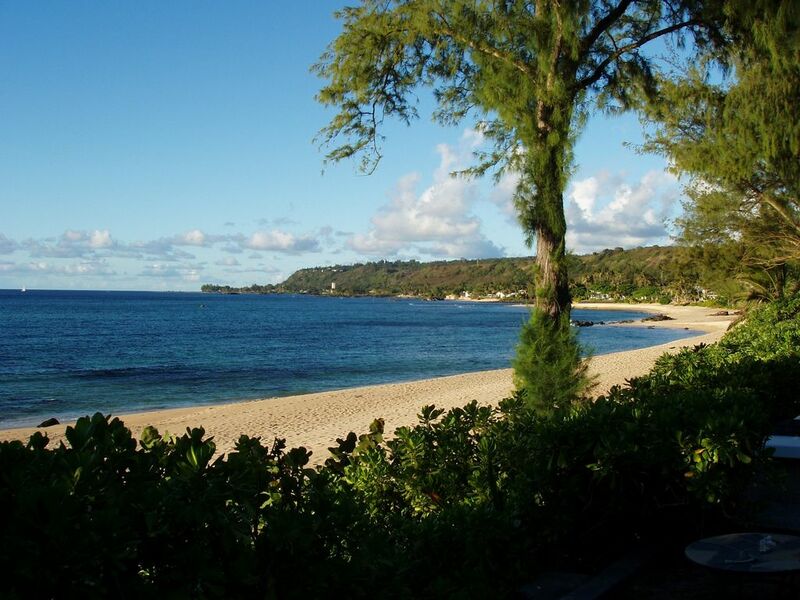 Great to hear that you enjoyed the North Shore and the property. Please come stay with us again if your planning a to visit the North Shore again. Nice space and excellent location. Loved it! Would definitely stay again! It's great to hear that you had a good time on the North Shore and were happy with the accommodations. Please come stay with us again if your visiting the North Shore. We stayed here in mid-February, during the rainy season and it lived up to its name. The property, however, was wonderful. The house is well maintained. It is also bigger than it looks in the pictures. We were pleasantly surprised. Our party consisted of myself, my husband and two grown children. There was more than enough room for all of us to be comfortable. There are AC units in each bedroom as well as the living room. They are amazing in that they make absolutely no sound!!! and work great! The beach is just a short walk across the property and down some stairs. The property itself is very well maintained and beautiful. Jim, the owner, was very friendly and kept us updated on some minor construction that was happening on the property. We appreciated that. The house is close to the Kam Hwy, however we had a hard time telling if we were hearing cars or waves. It certainly didn't affect how we felt about staying here. The stairs down to the beach are a little rough and uneven. I would have liked a handrail for stability. We would definitly stay here again!! It is nice to hear that you enjoyed your stay and that you were happy with the accommodations. We wanted to build a hand rail down the steps to the beach but the state will not allow and building in the 40 foot set back from the beach. Mahalo for choosing us and hope to see you again. Clean tidy no frills north shore beachfront. Attentive and responsive owner. Only issue is traffic noise on busy northshore hwy. many north shore properties have this issue. Would go back.